Social Media Marketing is undoubtedly the most understated marketing. 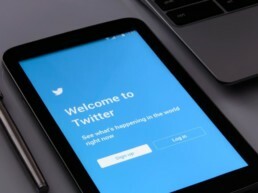 There are 100’s of social media platforms, however, although it may initially seem like a good idea to be on as many social media sites as possible, this might not be the best option as not all will appeal to your target market. A successful social media campaign requires consideration to the platform, target audience, rich valuable content, time of post etc. Social media for business is about showing your brand off little and often, therefore, building yourself into the memory of potential consumers when the time comes to find your product or services will be embedded into their subconscious when they are ready to search for it. Social Media Marketing is particularly heavy on aesthetics and it is important you stand out from other posts and competition. As we live in a very image-based age you must show that your product is superior to the competitors. Social Media Marketing (SMM) is the process of increasing the awareness of your brand, product or services by using the many social media platforms to generate publicity or even better viral campaign. SMM is similar to SEO (search engine optimisation) in that the goal is to drive traffic to your website or social profile in order to make a conversion that is valuable to you. Our team of social marketers are not only experienced but have achieved technical qualifications in this area of marketing. Our Social Media Marketing services are split into 2 different areas to help you identify what you need and how we can help. Johnsons Marketing has a large amount of experience using social media for business. 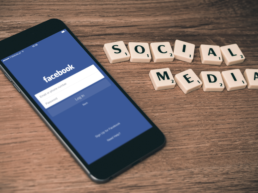 We offer workshops on social media for business; which includes how to help set up profiles and pages correctly, we give examples of content and you take it from there. Alternatively, we can do it all for you, liaise weekly, write creative content and design artwork on a weekly basis that has been proven to convert leads and increase brand awareness. You simply tell us the product/services you would like to sell and we can create awareness for your brand either organically or paid.